Our purpose is to mobilise the church to send missionaries and to facilitate the sending of those missionaries to go and make disciples of all nations. While Zimbabwe is considered a largely Christian country (approximately 70% of the population are considered Christian), nominalism is prevalent and ancestral worship is practiced alongside Christianity. In addition to this, reaching the nations with the gospel has not been something the church has considered its responsibility. By the grace and working of God, this mentality is changing and we are seeing a depth of faith and reliance upon God in the Zimbabwean church. Over the years Zimbabwe has been ravaged by disease, corruption and poverty. Extreme inflation has been somewhat curbed by the introduction of the dollar, which has brought about a level of relief to the economy, but unemployment remains high. A few people enjoy wealth, but this kind of lifestyle is limited to Harare, the capital, and other cities. Through churches, pastors, the next generation, and even ecumenical bodies, we challenge individual Christians to consider ‘GO-ing’ as missionaries and the Church to consider ‘SEND-ing’. This is mainly done through building relationships and exposing Christians and church leaders to Biblical teaching on missions, the need for the Gospel in the world, and the realities of what God is already doing in the nations. We commit to involving people internally and externally with prayer, within and beyond our borders. We hold events such as an annual Month of Prayer, in which we inform people of the Gospel needs in other continents, focusing prayer into areas where Christ is not known. This prayer emphasis has a double thrust of one: coming before the Lord and devoting ourselves, our community, our nation, and our world into His hand; and two: to position our hearts so that God can give us His love and passion for the unreached. We desire for churches to reach beyond their borders and become involved with opportunities to go on mission, even for a short duration. Because of this, we create numerous national and international opportunities to serve in different communities and places each year. We have experienced that when ordinary Christians step out of their comfort zone and depend on God, they find He is able to do extraordinary things. The goal of our Mission Discipleship Training program is to equip long-term pioneer missionaries who will have an impact for the Kingdom among the least reached people groups in Africa and beyond. Trainees are equipped first to make an informed decision about God’s calling on their lives for missions, and they are then equipped to function in a cross-cultural environment, bringing transformation to those who have not heard the gospel of Jesus. 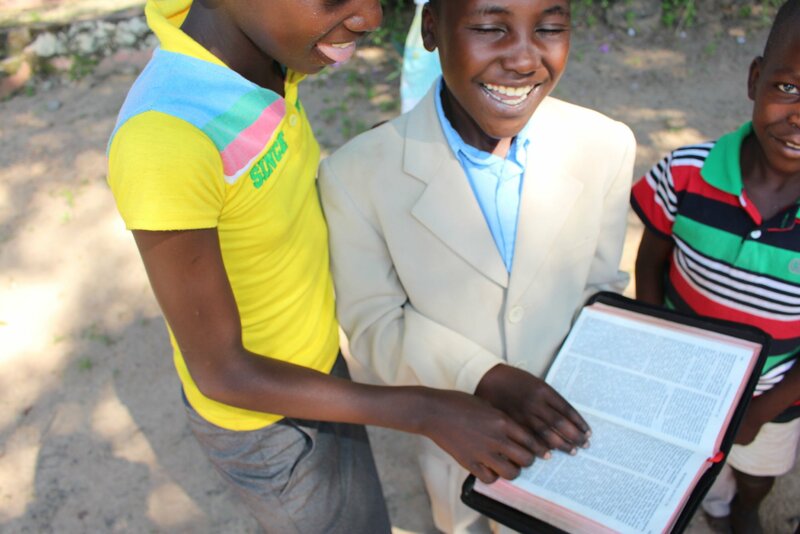 God provides us with His resources for His purposes in OM Zimbabwe, including people, finances and assets. We desire to be excellent stewards, caring for the people who work with us , and providing the support and platform necessary for all the other ministries of OM Zimbabwe to be effective. This includes, finance management, personnel, communications and media, financial development, IT etc.. The Tonga are known as the forgotten people, living in impoverished conditions with little access to health facilities. For 5 days each week, a missionary (living amongst the Tonga) travels to different villages and provides free medical care to the Tonga people, meeting the needs of pregnant women, people living with HIV and AIDS, people who have malaria, dental problems, stomach ailments, wounds and burns etc. It has been an incredible witness watching God raise up local leaders from within the Tonga churches. Opportunities to grow and teach these men Biblical principles has opened up churches and relationships in which discipleship is now being fed down the line. We look forward to the day when these pastors and their disciples will take the Gospel to distant communities, and even other nations, where Christ is not yet known.